If you have been diagnosed with any kind of Diabetes, and your Doctor or Dietitian have asked you to watch out how many carbs you are eating, then you have probably heard of this thing called “Carb Counting”! So shall we start then? Firstly let’s meet Free Foods A.K.A foods that contain no Carbs or so little of it that you are better off without counting them! Most Nuts (Almonds, Walnuts, Peanuts, Pine nuts, Macadamia, Hazelnut, Pecans, Brazil nuts, Coconut) and Nut Butters. So everything else has carbohydrates right? 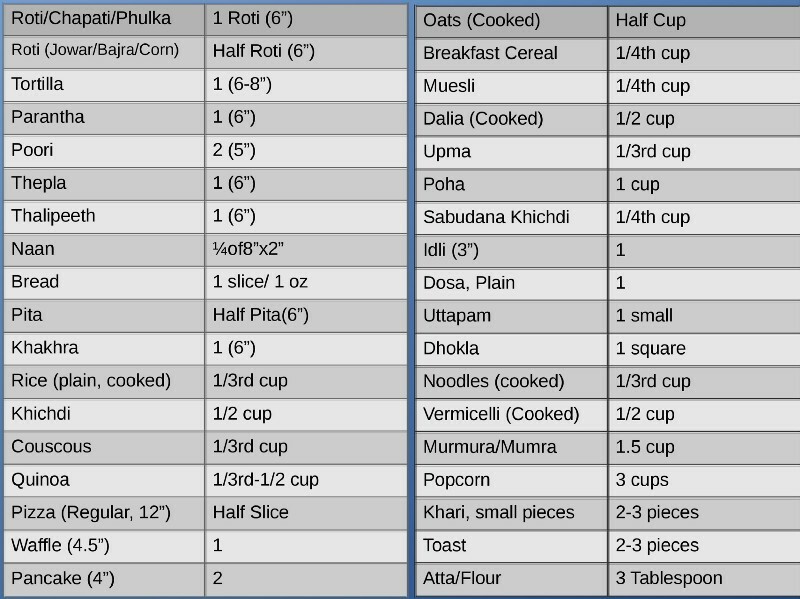 Roti, Chapati, Bhakri, Bread, Rice/Khichdi, Breakfast Cereal, Oats, Biscuits/Crackers, Khari, Toast, Butter, Idli, Uttapam, Dhokla, Thalipeeth, Thepla, Parantha, Sooji/Rawa/Semolina, Poha, Dalia, murmura/puffed rice, Amaranth/Rajgira, Nachni Satva, Noodles/Vermicelli/Sivaiya, Pasta, Pizza base, popcorn, etc. (All things that come from grains). And also Sabudana/sago. Done skimming through the table? 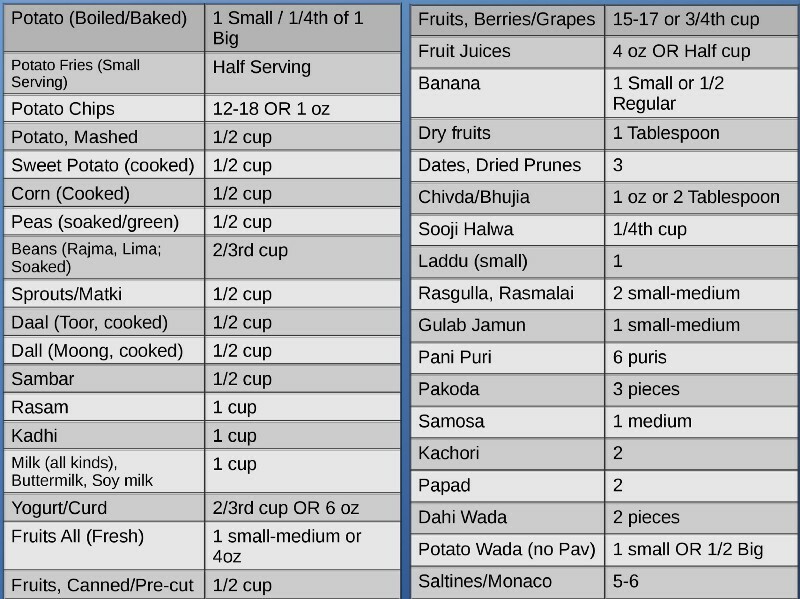 Now, Carb Counting does not mean you can only eat one 6″ phulka or half jawar roti! It simply means that if you are eating 2 phulkas or a whole jowar roti at dinner, you must count is as 2 Carbohydrate servings or 30 gram of Carbs. 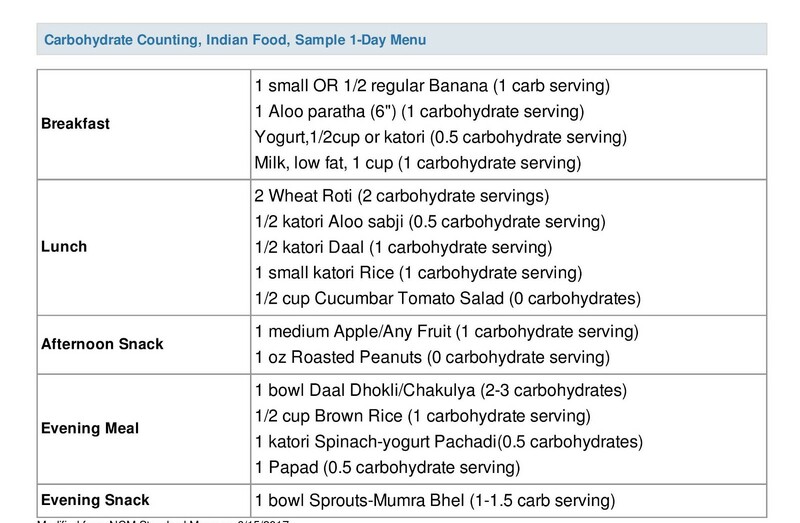 So if you are given a limit of 60 grams of carbs per meal, you will know exactly how to plan your meal accordingly! So my dear friend, now do you feel comfortable choosing a snack or preparing a meal when on a Carbohydrate controlled diet? If you found this read worth your while, like/comment/share (you know the drill..). And to get your queries answered super fast, you can also DM me or consult with me on DawaiBox App.